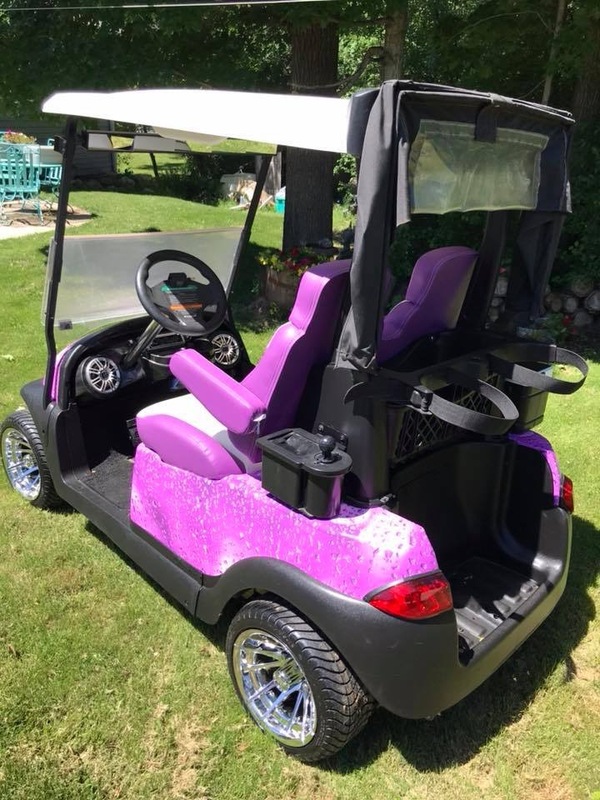 Here is a custom golf cart I just finished. Can you tell what musicians they are a fan of? Hey – how about an update on Jimmy’s car? Hm. Is that purple rain? 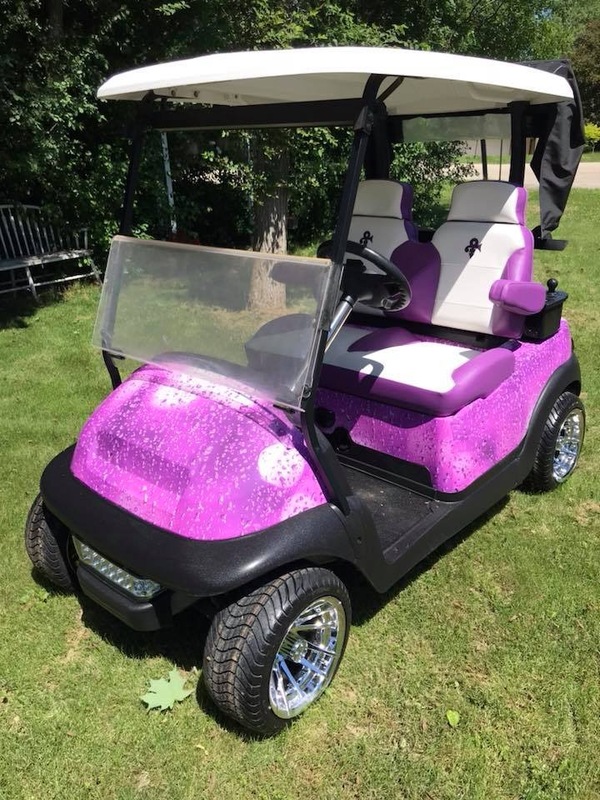 Is that the golf cart formerly known as Prince? Cindy Agner Jim’s 911 is now a running car. Although it needs a lot more work and$$$. I haven’t had much chance to drive it. But Chestnut keeps threatening to stop by for a cruise soon. If Mark gets a ride, so do I! I was gonna guess PINK. Any way, please give info on the organization you are donating the money to. A website would be good. Thanks.